LIVE Music, Hula Dancers, D.J. 's, Fire Dancers, Local Artists and Crafters, Dancers, Keiki Korner, Overnight Camping...and of course, Break da mouth grindz. Maui BlissFest 2012 is hosted by Dawn of the Dharmic Day (A Spiritual Oasis), on the Beautiful Island of Maui. Dharmic Day is a 501(c)3, Non Profit organization, and all donations made are tax deductable. ~ purchase a ticket or tickets for the event (whether planning to attend or not). 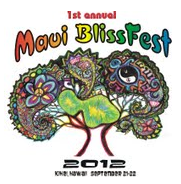 See the Maui BlissFest 2012 icon below to donate through PayPal. 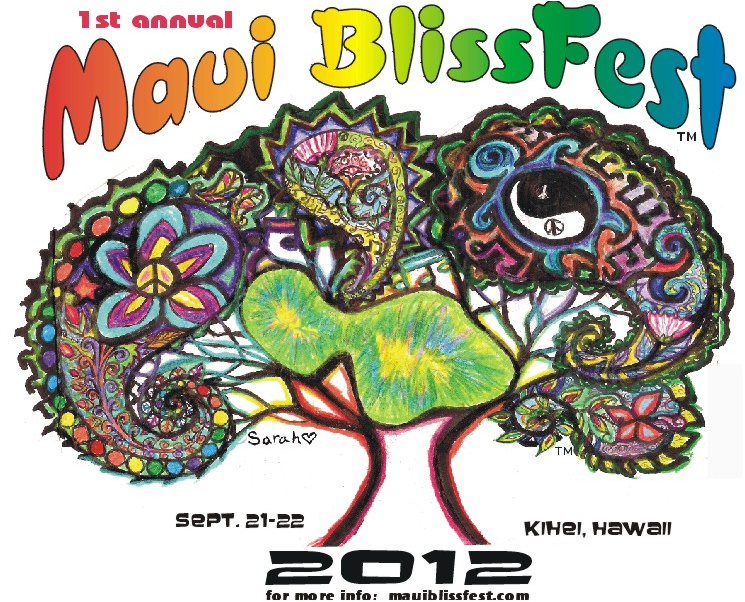 ~ donate your goods and/or services to Maui BlissFest 2012. Please contact us for more information about our specific needs. ~ donate an amount that is comfortable for you (you determine your own donation amount. Any amount above $20 will also give you access to the LIVE 2-day Maui BlissFest 2012). See the "donate" icon below. ~ Coming Soon: our "Wish List"...we're looking for musicians, videographers, vendors etc.. The list will be posted to the web soon. To purchase your ticket(s), click the icon below. To donate to Maui BlissFest 2012 via PayPal, click the picture below. Check back soon for updates on local bands, and other fun activities!